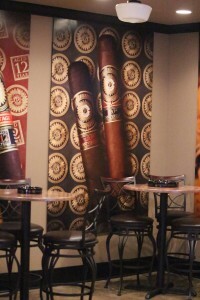 Come in to our cigar lounge and enjoy a fine cigar and spirit. You can watch TV on our main floor, or enjoy some relaxation in our quiet, private room. This room is also available to reserve for meetings or parties. If you stop by our retail store, you will see that we have one of the largest selections of cigars in the Northwest. Our friendly tobacconists will be happy to assist you in satisfying all of your cigar needs! 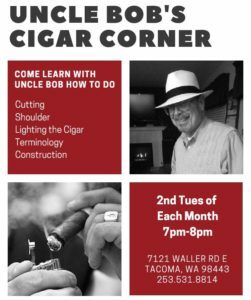 Want to learn about cigars? Uncle Bob can help. quality products and services to ensure your satisfaction. Copyright © 2019 Thunderbird Trading Post, All Rights Reserved.